Expert Resume Solutions – Do you want a job working for the NEW Trump Administration? The application process begins online. Expert Resume Solutions / Hiring Events / Do you want a job working for the NEW Trump Administration? The application process begins online. Do you want a job working for the NEW Trump Administration? The application process begins online. Are you a Trump supporter willing to take your political activism to the next level? Maybe you are a Bernie or Hillary supporter that wants to ensure funding remains allocated to certain programs. Heck, maybe you are a Gary Johnson or Jill Stein supporter that just wants to add a voice of reason to the new administration. We honestly don’t care what party you affiliate yourself with, if you need help with your resume, Expert Resume Solutions can help! President-elect Trump is soliciting applications for administration positions as part of a new transition website that aims to streamline the process of naming 4,000 political appointees. If we have peaked your interest, you can visit www.GreatAgain.gov to read about President-elect Trump’s transition team. The Trump administration invites applicants to submit job applications right on the agency website. Race, gender, age, political party affiliation, etc. A section to describe any additional qualifications. Be sure to include the number of years of experience for any given position. There is a limit of 131,072 characters. Use a plain text editor, or if using a publishing tool (e.g. Microsoft Word), the website recommends fewer characters. This is where the application process gets interesting. From this point the applicant can select the Department(s), Function(s), and/or Policy Area(s) that they would like to support. The applicant can even go as far as indicating a specific Agency, Board, or Commission. Have we peaked your interest? If you haven’t done so already, I highly recommend having your resume critiqued by one of our industry recognized career strategists before submitting your application online. There is no charge for this service. Otherwise, to begin the application process, click this link. If your resume is a hot mess or just needs updating, Expert Resume Solutions can help! Have your resume overhauled by one of our highly qualified resume strategists. Our writers will ensure that your resume doesn’t appear dated, in either form or content. I recommend a 2-3 page resume for these opportunities. Our Bronze or Silver Resume Development Package would meet the needs of most applicants. 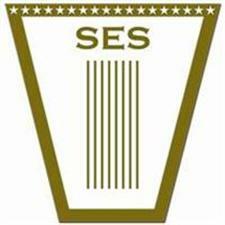 If you have considered applying to Senior Executive Service (SES) positions in the past, now is the time to begin developing a comprehensive SES Resume with supporting Executive Core Qualification (ECQ) narrative statements. All prospective SES candidates must complete our SES Candidate Intake Form prior to obtaining a quote. It is also important to note that the Trump transition team launched a new Twitter feed @transition2017 — the feed has 67,800+ followers as of Monday evening.